How long did it take you to learn how to do your makeup? My second question is do you tuck your male parts? What do you recommend i use to tuck my male parts? Do you use silicone breast forms in your bra? What do silicone breast forms cost? Where do I buy silicone breast forms? Do you wear a slip under your dresses and skirts? Do you wear pantyhose? Do you wear a girdle? How do I learn to walk in stilettos and high heels? How do I learn to move as feminine as a real woman? Do you have a feminine voice? How do I feminize my voice? How often do you shave your facial and body hair? And finally how often do you feminize your eyebrows? And I am also wondering how you take your coffee black or cream and sugar or just cream or just sugar? And what size shoes do you wear in women’s shoes? What is your favorite coffee shop? Do you or have you ever smoked cigarettes? Okay, let’s jump in. Round two..? How long did it take you to learn how to do your makeup? Makeup takes a lot of practice, mistakes, and money. It took me about three months to be able to do a decent job and it’s something you’ll get better at the more you do it. Don’t get discouraged. Booking a makeup lesson is probably one of the best investments you can make. You’ll probably never stop learning new techniques. Just the other day I learned something new regarding eyeshadow. My second question is do you tuck your male parts? What do you recommend i use to tuck my male parts? I am afraid I cannot advise you on this. I’m sure you can Google this with…varying results. Do you use silicone breast forms in your bra? What do silicone breast forms cost? Quality forms can cost anywhere from $100 to $700. I’m sure you can get them cheaper, but notice I used the word “quality”. Where do I buy silicone breast forms? I get my forms at The Breast Form Store. Do you wear a slip under your dresses and skirts? How do I learn to walk in stilettos and high heels? Slowly. Start with a kitten heel (one or two inches) before the six inch stilettos. Heel to do, glide a little, keep your leg straight, shift your weight and practice practice practice. 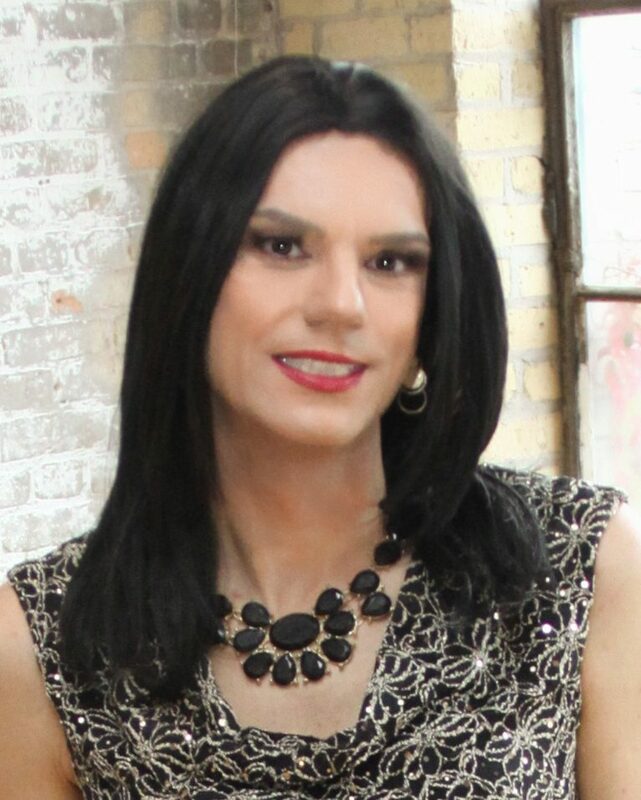 How do I learn to move as feminine as a real woman? Do you have a feminine voice? How do I feminize my voice? How often do you shave your facial and body hair? Each week, typically the night before I go out, if I am going out that week. And finally how often do you feminize your eyebrows? I don’t look at it as feminizing my eyebrows. Again, there is no standard as to how a woman should look or dress or speak or move or style their eyebrows. Yes, they may look more feminine but I think they also look better when I present as either of my genders. I do get them threaded about every three weeks. And I am also wondering how you take your coffee black or cream and sugar or just cream or just sugar? And what size shoes do you wear in women’s shoes? Depending on the shoe, it can be anywhere between an 11 to a 12. I used to love going to the Blue Moon Cafe and Cafe Southside, both were in Minneapolis and sadly they are both closed.